I'd been wanting to do a lilacy lavender lip, but none of the lipstick's I own were quite right, always too pink or purple. I was doing my makeup tonight and came across a lavender corrector concealer and thought that's it! I used the lilac concealer on my lips and cheeks. It's already sounding bad I know! Unfortunately lilac lips just make me look like a corpse, but at least I got it out of my system! 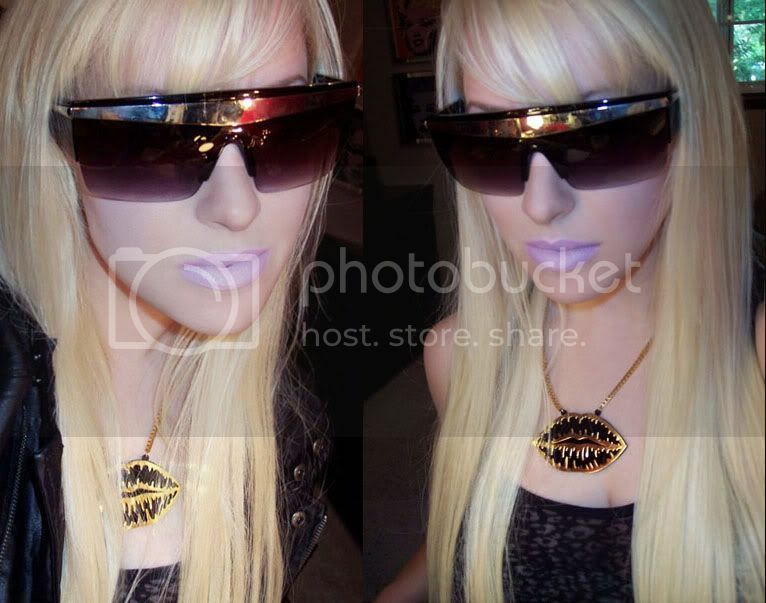 Read More for Product List, Lavender lip rec's, & a mini Graftobian Review! 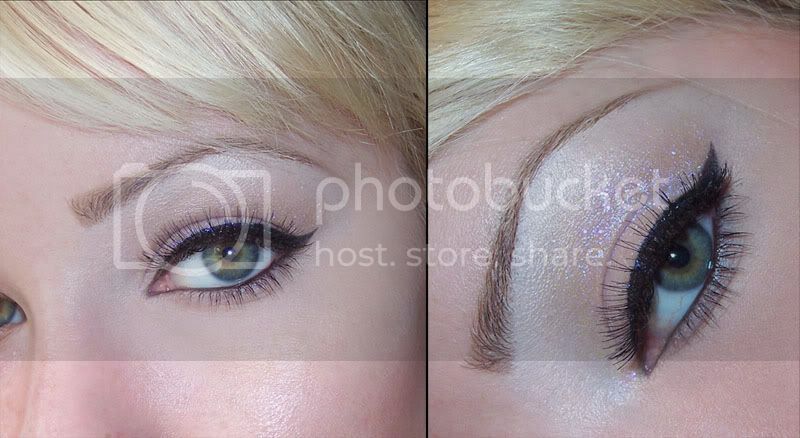 I spiced up a quick neutral eye and adding Graftobian Liquid Skin sparkle in Opal Neon. It's a clear base that dries down to show micro fine lavender sparkles. Gorgeous in person, but difficult to photograph it's true awesomeness! 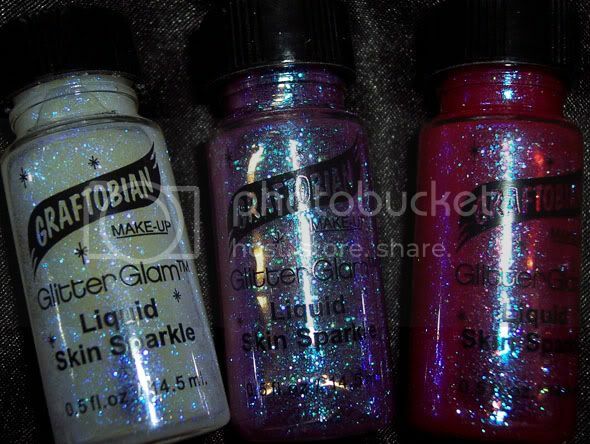 Graftobian GlitterGlam Liquid Skin Sparkles are water-based, alcohol-free, and safe for use on all skin areas. 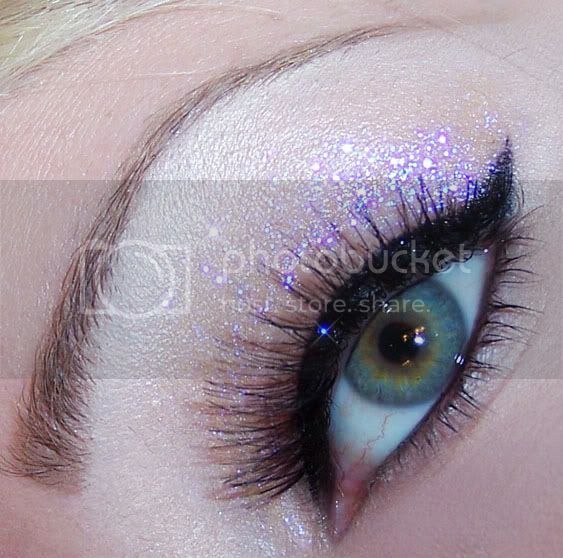 They look gorgeous on their own, but what I really like them for is adhesive base's for loose glitter. It dries quickly, hold amazingly well, and produces no fall out. 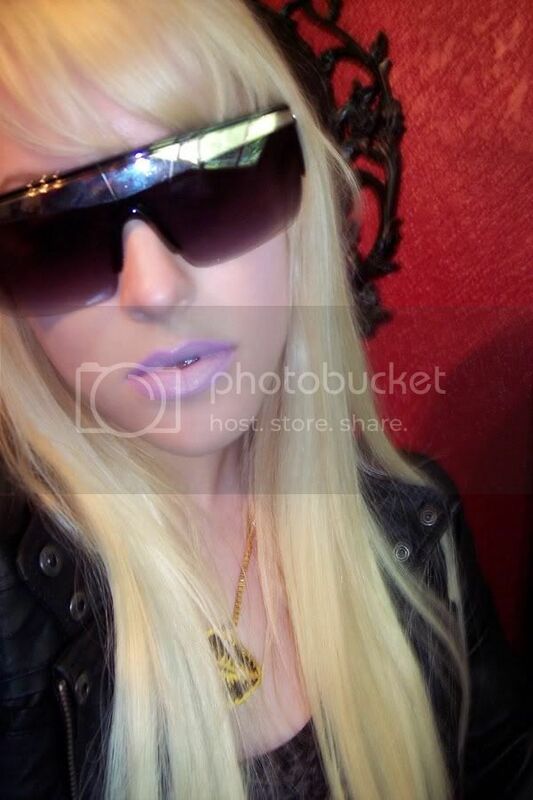 They also look hot over lipstick for the glitter lips effect with out the girttyness. I'm not affiliated with Coastal Scents any more, so I'm not trying to push products! But I do really like this color corrector quad (hated their concealers though). I often use the green to counteract redness. 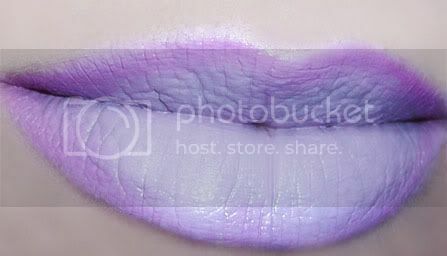 If you're a brave soul who wants to rock lavender lips, these are some good options! *Graftobian provided for review consideration by the company.